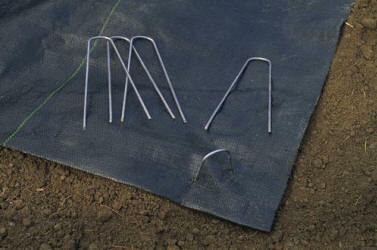 Fabric Staples & Pins, are ideal for securing fabrics and netting to the ground. Both are reusable and designed for convenient application. 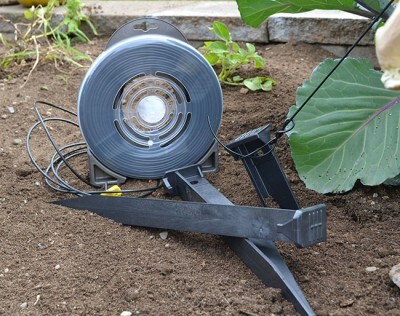 For recommended uses and more information, see Product Description below. 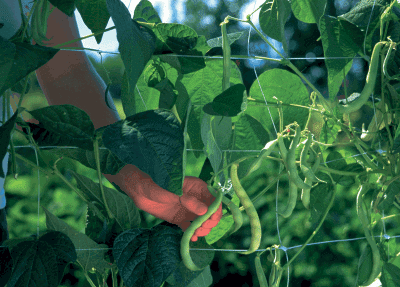 Please see Netting Clips for products with similar applications. 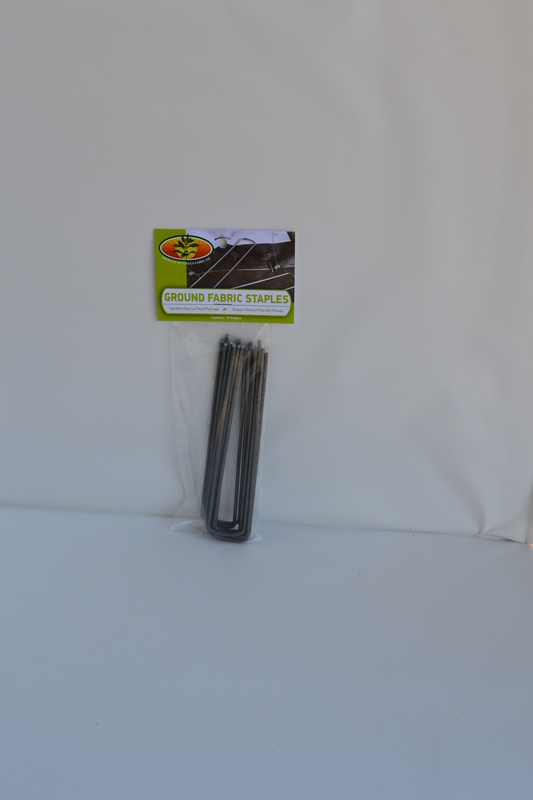 Items recommended to be secured with Fabric Pins include: Big Bug Netting, Crop Cover, Veggie Mulch, Utility Netting, and Bug Out Insect Screen. Fabric Staples & Pins are designed with specific uses in mind. That does not mean that the applications described below are not interchangeable. It is entirely up to the preference of the user. 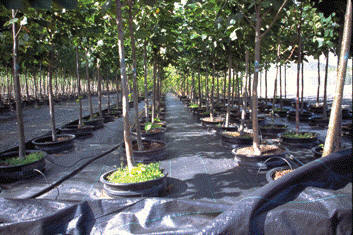 Fabric Staples are best used to secure landscape and other ground fabrics. The chisel point allows for minimal effort in securing even the thickest fabrics. The steel material our Fabric Staples are made from ensures they will withhold intense force without breaking or bending. 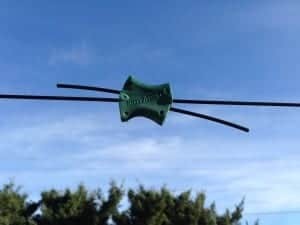 It is recommended to leave a small amount of space between the metal loop and the fabric it is securing if it isn’t being placed there permanently. Items recommended to be secured with Fabric Staples include: 3Yr Landscape Fabric, 7 Yr Landscape Fabric, Contractor Landscape Fabric, Woven Landscape Fabric and Woven Ground Cover. Fabric Pins are particularly well-suited for pinning lighter materials including netting and light ground fabrics. 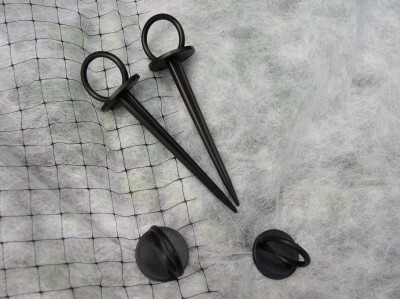 The circular ring on the top of the pin is designed to give the user more grip and force when applying. Because those lighter materials are often moved, Fabric Pins’ circular ring also allows for convenient removal. 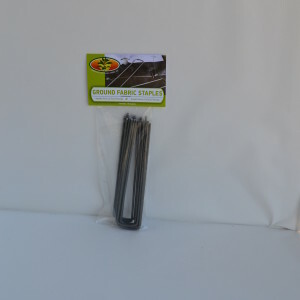 The ridged stake effectively secures the pin and fabric to the ground.